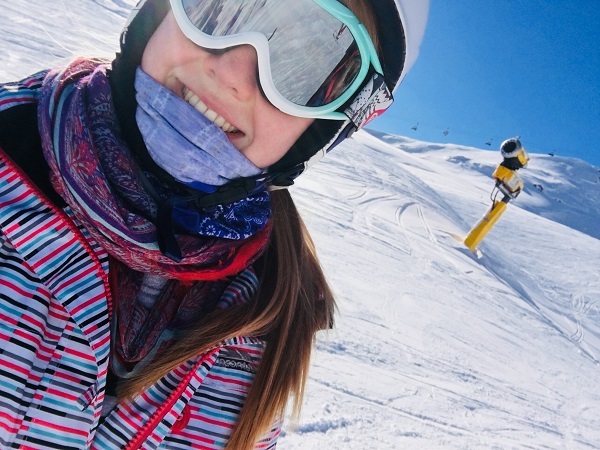 Keen skier and travel consultant at our Norwich travel agents in store at Jarrolds, Elodie Pethybridge, followed in the footsteps of Daniel Craig when she headed off to Austria’s resorts of Solden and Obergurgl for a few days. Here is how she found life on the slopes. The outbound flight was well operated and comfortable. It was a great short flight; only an hour and a half, which seemed to fly by. The staff were friendly and very helpful. We had difficulties on our flight coming home as the weather in Innsbruck meant our plane wasn't able to land from its previous flight. We were delayed by four hours in the end and we thought we were going to have to be transferred to Munich at one point. However, the flight was eventually able to land and we did get home in the end. The staff were under a lot of pressure, as they had only expected 20 passengers on the flight. They worked so hard to try and get to the food trolley to everyone in the limited flight time. The accommodation was nice, clean and tidy. It's a Chalet Hotel so it has a really homely feel with big, squashy sofas in the lounge - perfect after a tiring day skiing. The staff were all really helpful and friendly; everyone spoke English (or was British) so it was great not having a language barrier. The food was great; a wide selection for both meat eaters and vegetarian customers, they catered to dietary requirements perfectly. Chalet dining was good. They come around the night before for you to choose your meal for the next night. The only thing I didn't like about it was we couldn't move seats easily; we had to notify the staff if we wanted to move. However, we ended up with a seating plan for one night, which was great to mix with others you hadn't necessarily spoken to before. The rooms our group were allocated varied in standard. The room that I shared was large, clean and had a lovely renovated bathroom. Some of the rooms that the other agents were given weren't quite as up to date and were quite a lot smaller than mine. However, overall it was great and fit for purpose. On arrival in Austria, we were transferred to Kuhtai (the resort were Channel 4’s The Jump is filmed). We visited Chalet Hotel Elisabeth which was a good hotel in a great location. The rooms were simple but great for a family or for a couple on a budget and the rooms were clean with direct access to the slopes. We also visited the Moodhaus Hotel for lunch and a look around. It's a five-star hotel that has been recently refurbished and has so many children’s facilities like an indoor activity room, cinema room and chill-out room. It has loads of restaurants, some for all ages and some that are adult-only. The rooms were incredible; one or two-bedroom suites were available with all the mod-con facilities. They all have access to the spa and an amazing outside pool which wraps around the building – a great way to relax after a day skiing. 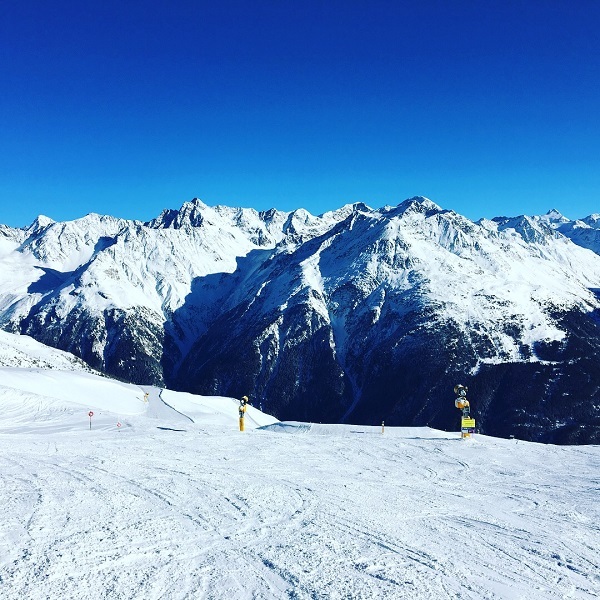 We skied in Solden on the first day and Obergurgl on the second day. 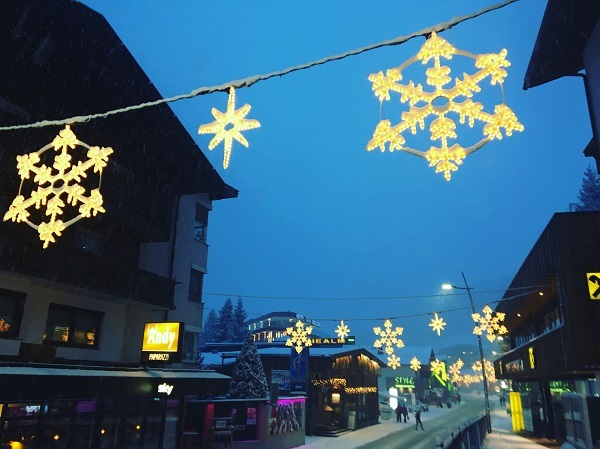 Personally, I preferred skiing in Obergurgl as the runs were wider and longer and there were some lovely restaurants and cafes to stop for a little après ski if needed. Skiing in Obergurgl was my favourite part. We had such a good group of people and on the second day, we had all found our ski feet. I loved seeing the beginners who had never put a pair of ski boots on before progressing and really enjoying it, so much so they said they would go again. I have previously skied in France & Spain, but I have to say I think Austria is my favourite. The resort is a lot higher than where I usually go, so I did find it very cold! But the snow was great, though very different to what I am used to. I will definitely go back to Obergurgl on my own holiday if I can. Solden is the location where the James Bond film ‘Spectre’ was filmed, which I was very excited about as it is one of my favourite films. The Medical Centre in the film is now a gourmet restaurant where customers can dine if they wish. I am very pleased to say I have skied in the same resort as Daniel Craig (not that he did much skiing in the film). I didn't think Chalet Hermann was in the best location. With a bus ride to the resort and the slopes, I thought it was a shame that it wasn't nearer to the facilities. Obviously, this cannot be changed, so I am hoping that Inghams will take some more contracts in Solden as it is a great resort and being able to visit other ski resorts is a good feature to have. Otherwise, it was a great trip! This trip is obviously geared towards skiers and both resorts (Obergurgl and Solden) are fantastic. Both have a wide range of slopes for beginners and more advanced as well. It's wonderful for families and there are great ski schools and private lessons available too. I think it would also be a good base for families or couples who wanted to give skiing a try but also do other winter activities. Chalet Hermann was a fantastic base for our trip, with friendly staff, great food and, in my case, a good room as well. I had to visit the ski rental shop on a couple of occasions, due to boot drama. The shops are really new and all the equipment is near enough brand new. If you would like to plan your own ski holiday, we have specialists that will help you find the perfect destination. Call us today or visit any of our travel agents in Essex, Suffolk, Norfolk and along the south coast.